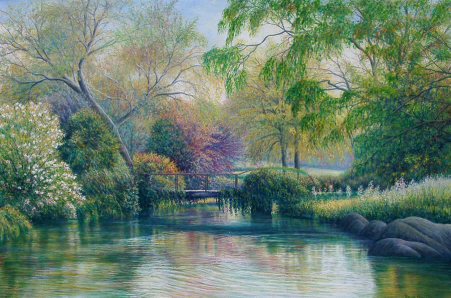 David Howells paintings are primarily traditional pastoral landscapes and garden scenes. His many travels have inspired him greatly, but it is the simple beauty of gentle rural landscapes that appeals to him most and that he feels is universal. His passion for this type of scenery is evident in his work.